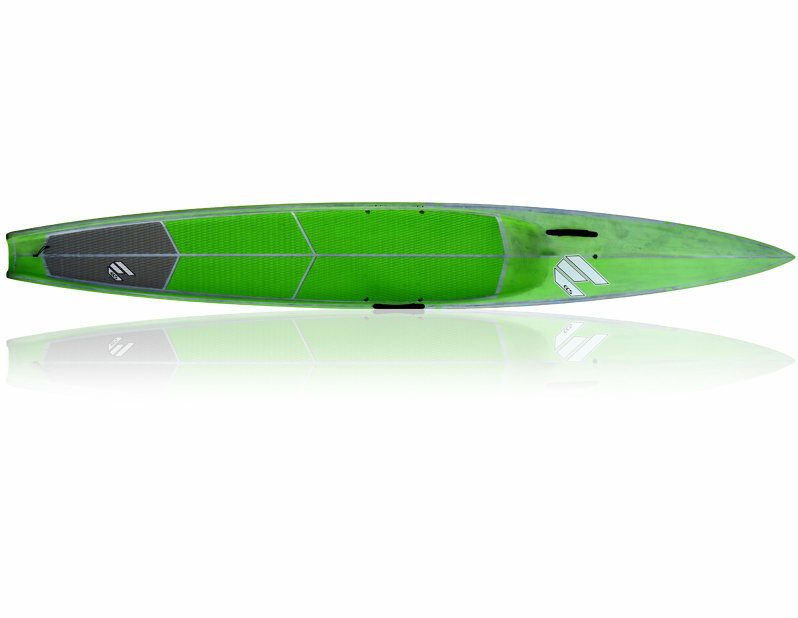 The Speed is your fast flat-water race board with deep dug out standing area providing optimal stability. The board features a pinched nose entry to planing concave bottom and new soft chimed rail harding through the tail offering speed and efficiency. The board has a slight vee in the nose for optimised glide and tracking. Full carbon construction with divinycell reinforced standing area making for a light, durable board that slices through the water.